They served their country with honor and pride, so it’s only fitting to honor them with a beautiful symbol of eternal life. 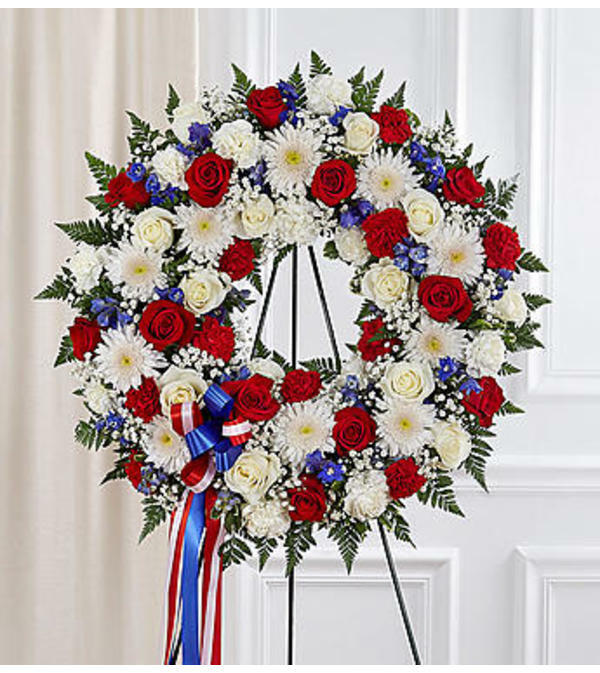 Our patriotic standing wreath arrangement is meticulously crafted by our expert florists to honor a brave veteran who has passed away. Filled with lush blooms in red, white and blue, it’s a fitting final tribute for the funeral services. 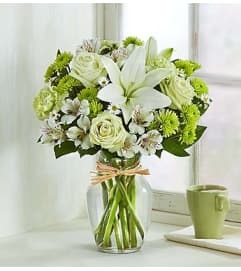 Flowers such as red and white roses and carnations, blue delphinium and more. 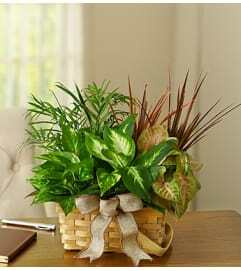 Accented by vibrant greenery.